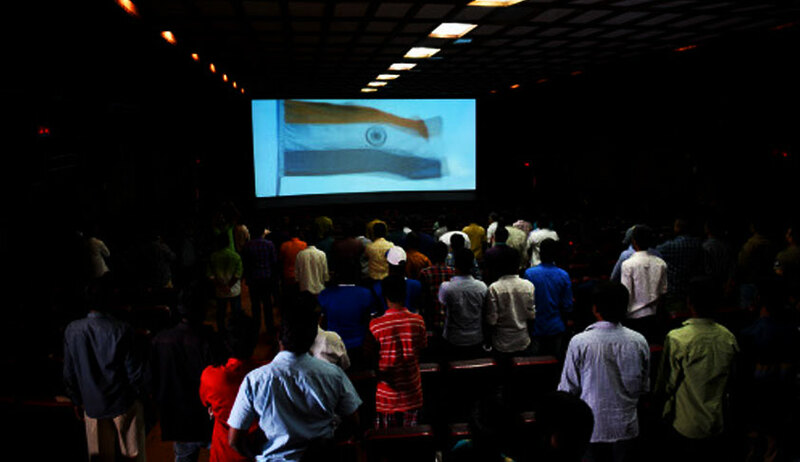 Henceforth it will not be mandatory for cinema halls across the country to play national anthem before start of a movie. The bench headed by Chief Justice Dipak Misra of the Supreme Court today in a significant order, modified it's November 30, 2016 interim order which had made it mandatory. SC today left it to the discretion of each cinema house. This came following an affidavit filed by the Centre yesterday. "It is submitted by Ld Attorney General K K Venugopal that playing of national anthem may not be made mandatory till final the inter-ministerial committee comes up with its recommendations and a decision is taken by the government. Needless to emphasise the discretion rests with the central government and they shall take a decision uninfluenced by the interim order." "In view of the aforesaid we do not wish to keep the writ petition pending.Interim order of 30.11.2016 stands modified.Playing of national anthem prior to screening of a cinema is not mandatory"
In a major U-turn on National anthem, the Centre had yesterday through an affidavit asked the Supreme Court to modify its November 30, 2016 order making it mandatory for all cinema halls to play the anthem during which cine-goers were to stand up in attention and urged it to restore it to the earlier position.